What if we invest differently and pursue a new path? 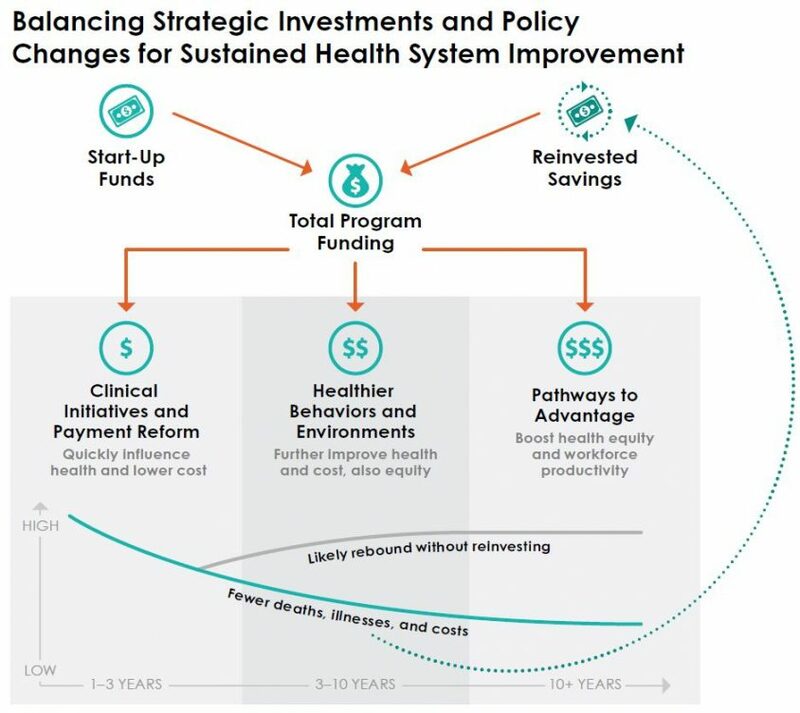 Thousands of innovators across the country are using the ReThink Health Dynamics Model to study alternative investment scenarios for regional health reform. This tool supports multi-stakeholder strategy design by equipping diverse leaders with a credible way to examine uncertainties and to explore, for themselves, the likely consequences of potential changes—as well as the stakes of inaction. Playing out scenarios together also encourages greater alignment and action as leaders begin to see and feel what their efforts could accomplish. 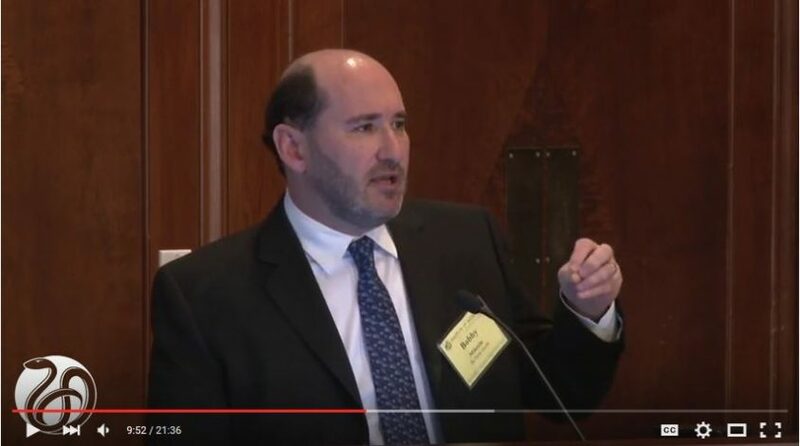 This short video summarizes some of the main lessons that arise when rethinking health investments and financing. As the video illustrates, virtually every aspect of the American health system—including measures of population health, care, cost, equity, and economic productivity—can be improved by making well-informed decisions about where we invest and how we finance those efforts over time. The following diagram shows how a carefully crafted suite of initial investments, coupled with a commitment to reinvest some of the gains, could propel a critical transition within just a few decades, steadily driving down premature deaths, illnesses, and costs. The power of this strategy comes from the compounding returns that accrue across three cascading types of investments (i.e., clinical, behavioral/environmental, and socio-economic). Each affects a different part of the health system, at different times, and with different levels of required funding. No single investment is capable of sustainably altering the overall health and economic trajectory in a region. And the most costly upstream efforts might never be funded in earnest were it not for the resources that accumulate through this sort of balanced, integrated strategy. But when the existing assets in a region are devoted to unlock greater value across the entire health enterprise, the likely health and economic effects can be extraordinary. Animated by insights like these, well-positioned leaders are developing the foresight and strength to move beyond business as usual. They see how small, disconnected projects tend to spread resources too thin and reinforce a self-fulfilling sense of scarcity or intractability, whereas a larger more interdependent set of investments could yield progressive returns that expose the true abundance of the U.S. health economy. Better results may be achievable—and affordable! In fact, with so many lives and so much money at stake, how long can we afford NOT to make smarter investments? The following section moves beyond matters of motivation to expose the messy strategic context that leaders must traverse if they want to do business differently together.